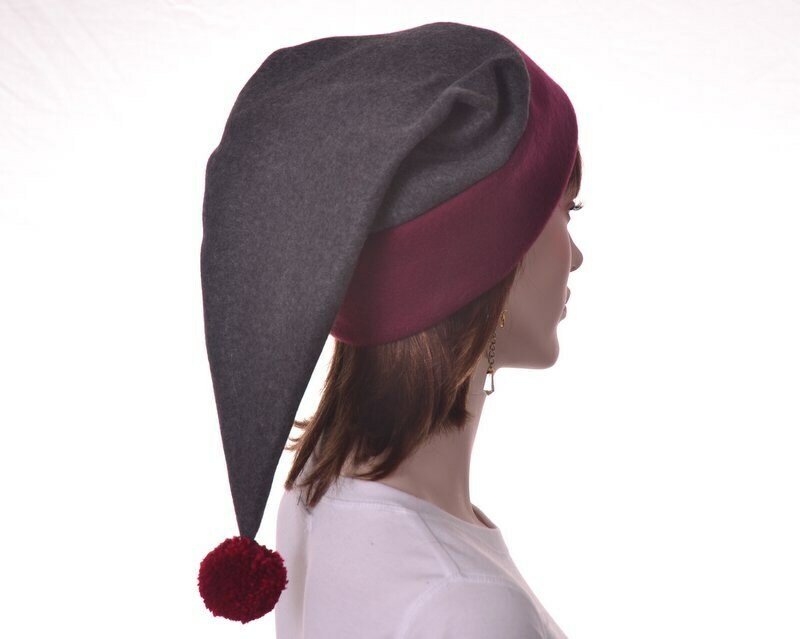 Size Standard 22"-24" Extra Large 24"-25" Jumbo 25"-26"
Long victorian style stocking cap made of fleece. 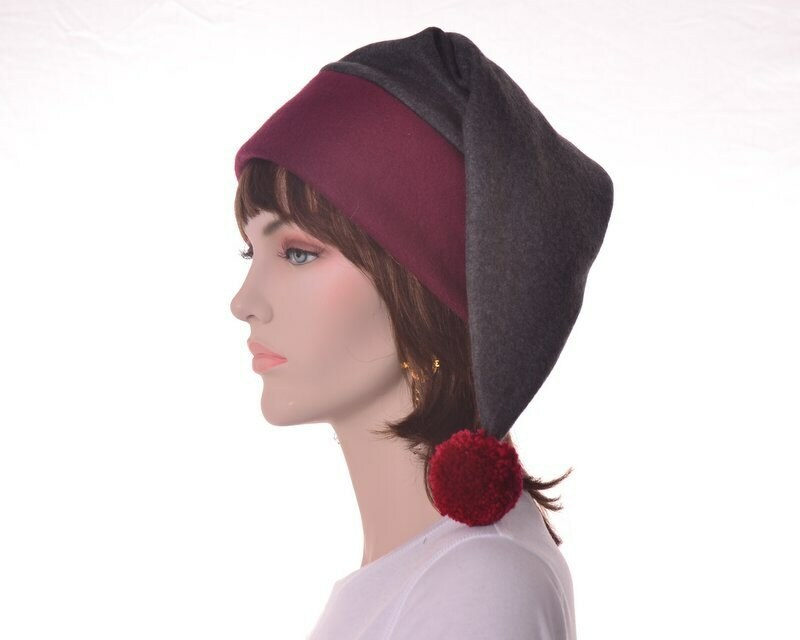 Charcoal gray body with maroon headband and large pompom on tip. This is a long pointed hat, measuring about 19 inches long. Made with a double thick headband. Fits heads measuring 22-24 inches which is most adults.